My love for experimenting with smoothie recipes started at a young age. If it’s any indication, I purchased my first Vitamix 19 years ago! The beauty of smoothies is that with countless options for ingredients, you can continue to experiment until you have found the perfect combination of taste and nutritional benefits. 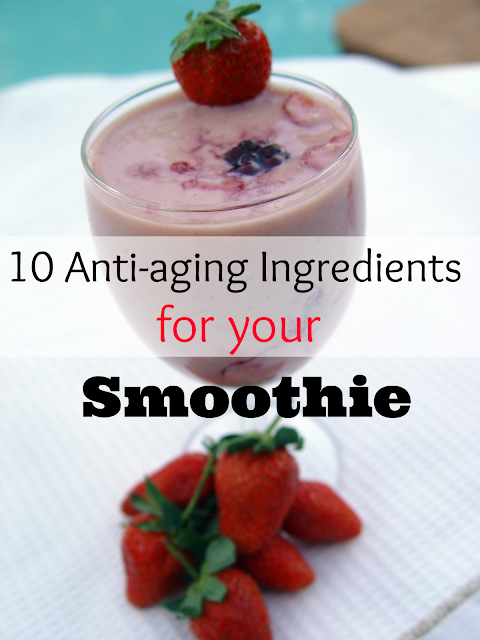 If your morning smoothie needs a makeover, consider adding one of these anti-aging ingredients. 1. Acai Powder – Have you heard the buzz about acai? The acai berry is high in antioxidants, essential fatty acids, and fiber. This superfood will have you feeling and looking good. 2. Chia Seeds – Not only are chia seeds high in fiber, calcium, and antioxidants, they are rich in omega-3 fatty acids. Chia seeds make you feel full. This makes it a perfect ingredient to add to your morning smoothie if you have a busy day at work! 3. Avocado – Known as the alligator pear, the avocado boasts many health benefits including being high in vitamin E, which is known to enhance eye health. To get glowing skin, you can also apply avocado as a face mask! 4. Wheatgrass Powder – High in antioxidants, wheatgrass has been publicized as a superfood and serves as a natural detox for the skin and body. If you’re not keen about the slightly grassy taste, try adding it to a smoothie with a sweet fruit such as pineapple or pear. 5. Pomegranate seeds – If it seems like too much effort to get the seeds out of a pomegranate, you’re in luck! Many groceries sell fresh and frozen pomegranate seeds. These ruby red seeds are believed to have the potential to reduce the signs of aging due to sun exposure. Try adding pomegranate seeds to your smoothie to keep your skin looking young and smooth! 6. Tart cherry juice – Tart cherry juice can be expensive, but it’s worth every penny. Recently, tart cherries have been linked to reducing the risk of bone loss. According to Dr. Oz, this sweet and tart juice is the ultimate antioxidant. Tart cherries can also help with pain relief, reduce the risk of heart disease, and act as a natural sleep aid. 7. Goji Berries – These bright orange-red berries are packed with vitamins A and C, fiber, and calcium. It is believed that these berries offer a range of benefits from anti-aging to boosting the immune system. 8. Lemon – High in vitamin C, lemons are known for their detoxifying properties. Do you already drink lemon water in an effort to lose weight, fight hunger, or clear your skin? Why not add a slice of lemon to your morning smoothie as well? 9. Flaxseed – Rich in omega-3 fatty acids and fiber, flaxseed may help to heal skin inflammations, promote healthy brain function, and help with weight loss. 10. Yumberry Powder – Grown in China, yumberries are believed to have the ability to fight free radicals, strengthen cell membranes, and assist with digestion issues. Even though the actual berries have not been available for import into the U.S., you can purchase yumberries in powder or juice form. 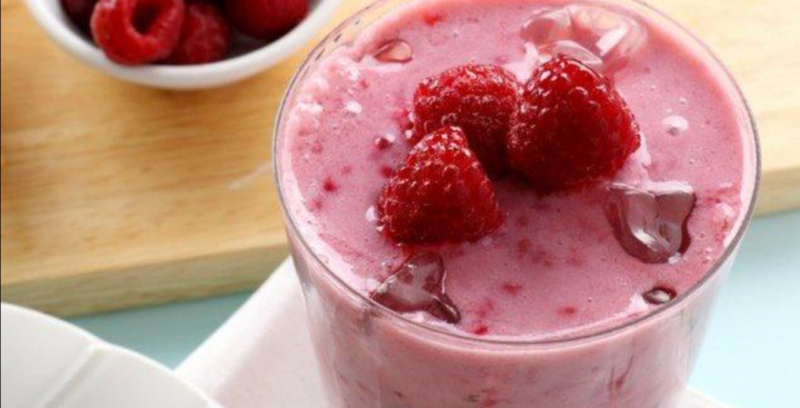 The tart flavor of the yumberry powder is a perfect complement to many smoothie recipes! Lindsay is a Certified Professional Coach who specializes in working with women in their 20’s and 30’s. She enthusiastically helps her clients take their lives from searching to satisfied. 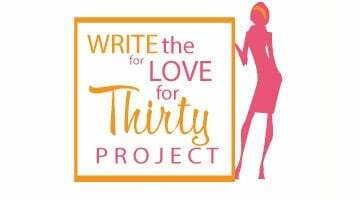 Lindsay will soon launch the Turning 30 Coach membership site, where members will have access to action plans, how-to resources, opportunities to get their pressing questions answered, a 24×7 private support group, and much more! This new, collaborative community will serve as a one-stop resource for those on the path to figuring it all out. Besides being passionate about coaching, Lindsay loves blogging, experimenting with green smoothie recipes, practicing yoga, exploring hiking trails, and purple nail polish. I would love to try some of these. Where does one buy something like acai powder of chia seeds? Do you have to go to a GNC type place or would they have it at a grocery store? Sea buckthorn is not on the list?